The largest city in the northern state of Rajasthan, Jaipur is one of India’s most alluring destinations. Known colloquially as the ‘Pink City,’ as many of its buildings are painted in a salmon-colored hue, it’s home to a number of the country’s beloved monuments and landmarks. Founded by the Maharajah Jai Singh in the 19th century, Jaipur is unique for its orderly, European-inspired urban planning. From sweeping palaces and lavish gardens to historic forts, the city’s offerings will leave you breathless. 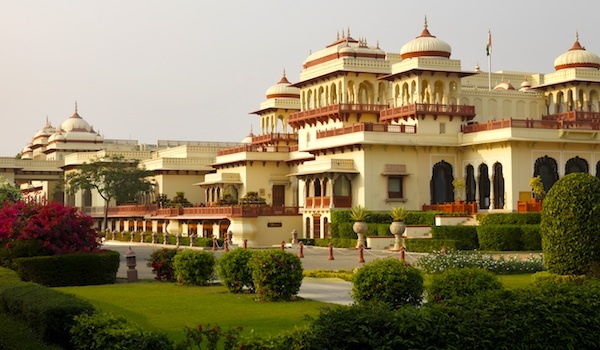 The ideal place to start any Jaipur sightseeing trip is at the Taj Rambagh Palace. Part lavish hotel and part historic palace, it offers truly luxurious accommodations as well as an ample amount of artistic and historical interest. First built in 1835 for a handmaiden of the queen, before transitioning into a royal hunting lodge and then finally a grand palace for the Maharaja Sawai Ram Singh II, the massive structure features ornamental gardens, domed cupolas, long balconies, and other intricate touches. This palatial complex in Jaipur houses both a museum and a still-active royal residence. 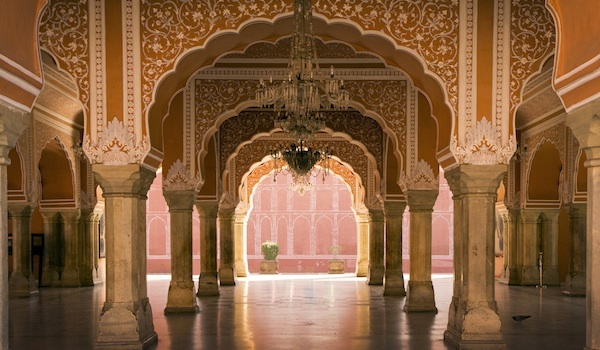 Built in the late 1700s, the City Palace’s many sections, courtyards, and outer walls feature elements of Mughal, Rajput, and European architectural design. The royal family still inhabits the Chandra Mahal (Moon Palace), but guests should be sure to witness the ornately decorated peacock gate, the museum in the Mubarak Mahal (which showcases artworks, costumes, and other artefacts), and the gorgeous marble floored Diwan-I-Khas, once a royal audience hall. This UNESCO World Heritage site is a must on any visitor’s Jaipur itinerary. 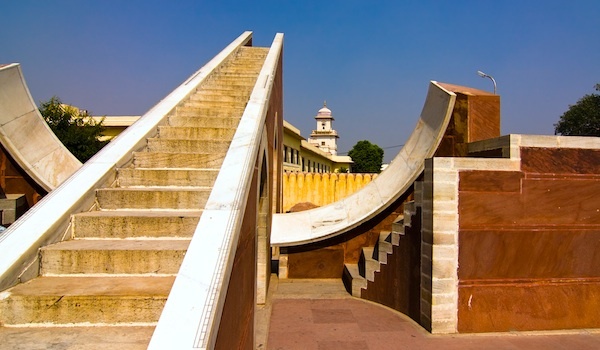 The Jantar Mantar astronomical observatory was established by the city’s founder, Jai Singh, in 1728, and consists of 14 different large-scale tools and observatory points, each designed to glean different information from the stars. Home to the world’s largest sundial, the Jantar Mantar observatory provides an extraordinary window into the scientific advancements of the day. 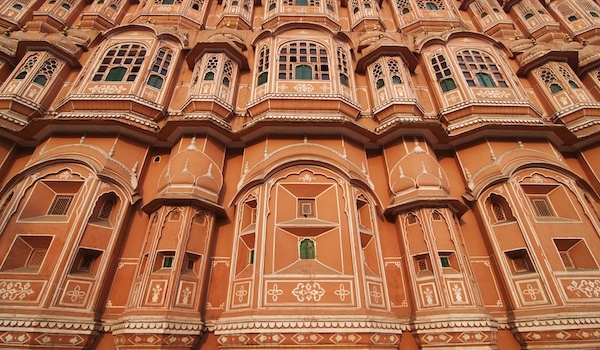 The beautiful Palace of the Winds is one of Jaipur’s most famous monuments. 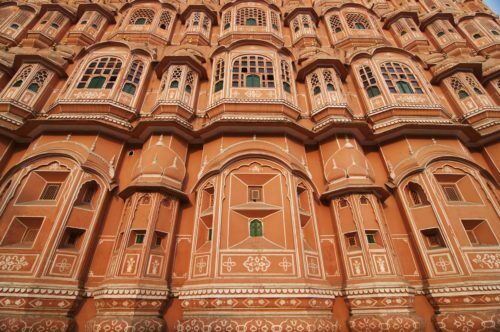 Built in 1799, the terra cotta-colored Hawa Mahal consists of five different floors and boasts a façade that’s punctured by numerous filigreed windows, niches, and other details. The pyramid-shaped building, made from carved sandstone, is incredibly ornate; legend has it that it was constructed so royal women could observe the happenings in the city without being seen themselves. Recent renovations mean that the palace is in exquisite condition today. 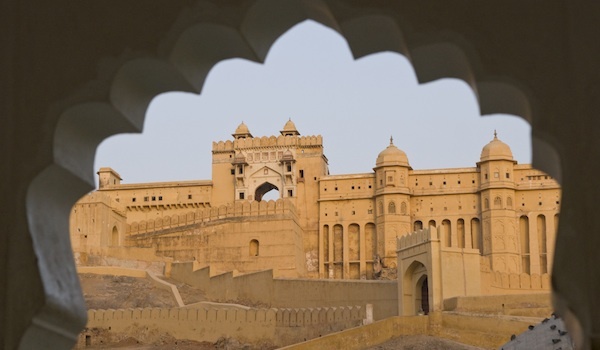 Visitors travel from far and wide to see Jaipur’s legendary Amber Fort. Poised on the top of a hill overlooking the surrounding scenery, the historic structure was constructed in the 16th century. Its modern guise is in extraordinarily good condition, and the fort is divided into four sections, each of which has its own courtyard. A number of ornate gates, frescos, and other decorative details abound, with the Sheesh Mahal (Mirror Palace) standing as one of the structure’s more popular elements. With walls and ceiling covered in tiny pieces of glass, it stands as a glittering regal gem.